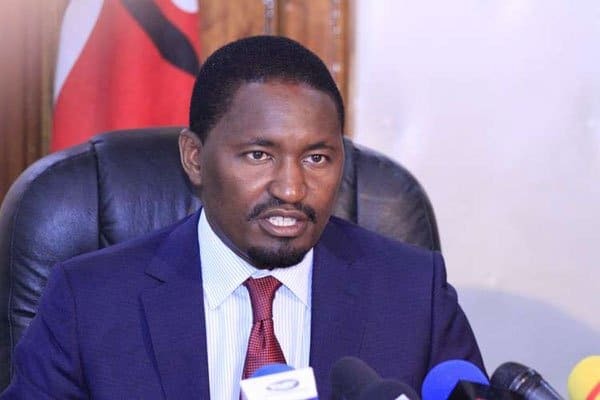 Agriculture CS Mwangi Kiunjuri has put the National Treasury on the spot over the contraband sugar scam. Appearing before a joint sitting of the National Assembly’s Agriculture and Trade committee, the CS said that the National Treasury through a gazette notice, number 4536, allowed for duty free importation of sugar. “It is notified for the general information of the public that in accordance with section 114 (2) of the East African Community Customs Management Act, 2004, and as a consequence of the declaration by the President and Commander-in-Chief of the Kenya Defence Forces through Executive Order No. 1 of 2017 that the drought and famine in parts of Kenya is a national disaster, duty shall not be payable for the following items: 1. Sugar imported by any person with effect from the date of this notice to the 31st August,” reads the May 2017 notice. The notice did not specify the kind of sugar to be imported and by who giving a carte blanche to those who were not licensed to do sugar business to venture into the business. Millers are required to seek clearance from the Agriculture ministry before importation but this did not happen. Despite the number of millers being at 12 only, over 350 importers took advantage of the notice to flood the market. The notice allowed sugar importation from May 2017 until August in 2017. Aldai MP Cornelly Serem tabled documents, showing how the sugar was contaminated with heavy metals, including mercury and lead due to mishandling and poor transportation methods. He accused some importers of ferrying the sugar in open and dirty ships that had been used to transport fertiliser, coal and other poisonous materials. He also accused a godown in Webuye, Bungoma County for mishandling the sugar by transporting it in open trucks and dumping it on the ground, just like sand.